On a venture such as ours, with a barge and traveling around Europe, it is helpful to have people that step up and offer assistance. 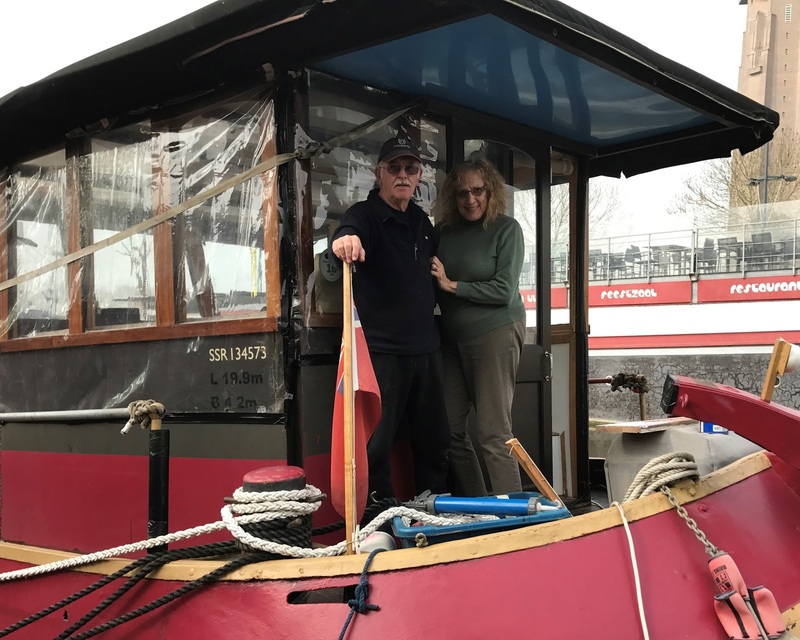 There is much to learn about owning and operating a boat that is to be used on the canals and rivers in Europe. There is a nominal membership fee and for this, you get access to all parts of their online site. They also publish a monthly magazine called the Blue Flag which can be read in print or on the site. We joined immediately upon learning of this group and its members have been very helpful. There is a busy user form on this site and by becoming members, you can post questions. If you are only interested in reading and developing some knowledge about barging and using the canal system in Europe, just read. living on boats for the past 30 years. 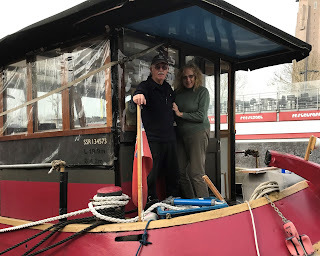 They were active in all aspects of boating on the west coast of North America and, about eight years ago, moved their operation to Europe to begin barging. They purchased a metal shell of a boat and have transformed it into their European home. Barrie got his start by joining the Canadian Navy and becoming an engineer. Carole is the founder and the principal of the online Facebook site called Women on Barges, or WOB for short. This very active group of nearly 1800 women (which includes Marianne) is for women to discuss various "things"with other women and for all to learn. Together, Barrie and Carole have fun living on their beautiful Silk Purse. When I arrived in Belgium in early March, I was followed quickly by Barrie and Carole. They have their boat at the same marina and we are stern to bow along the dock. I have been able to go to them with simple and silly questions and concerns about serious matters on my boat and in its operation. Sometimes you just want somebody standing next to you as you turn something on or off for the first time. They have come on board when I wanted to do some practice on the river here, and they have been available each time I have come into my small berthing slot in the marina. Both boats will soon depart the marina to begin the 2017 cruising season. I will follow them for some time just to have them close by and at some point, in the south of Belgium, we will go our separate ways. But by text or phone or through the WOB's group, I know they will always be handy and helpful. I can only hope to be as well informed as they are at some point in the future. Thanks!